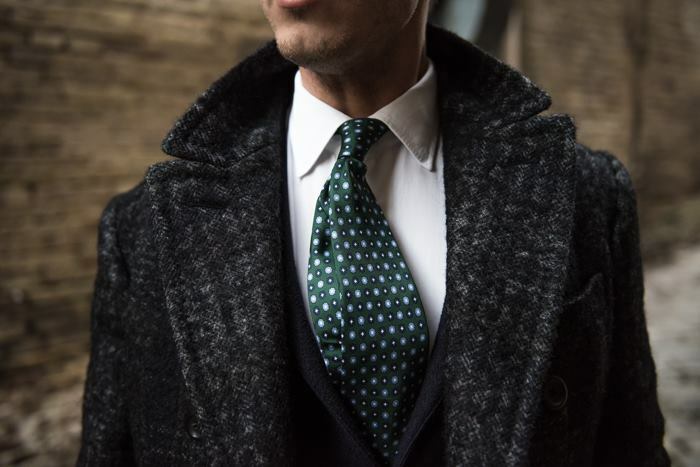 al verde rendono il look davvero accattivante. 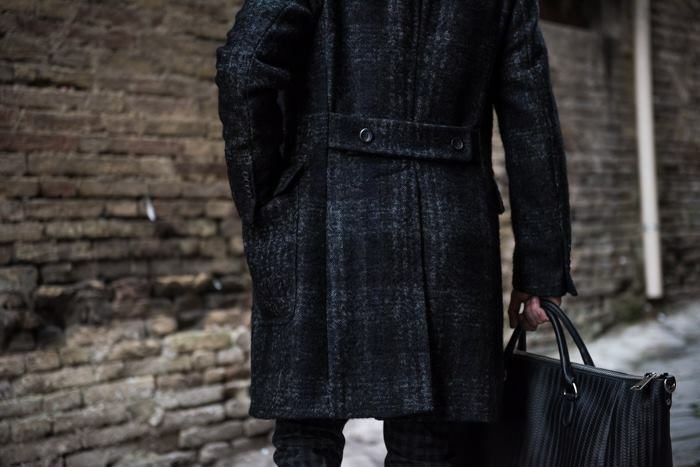 I pantaloni Berwich e la cravatta de L’Avvocato sono in perfetta sintonia, anche con la pochette di Pret a Pochette . 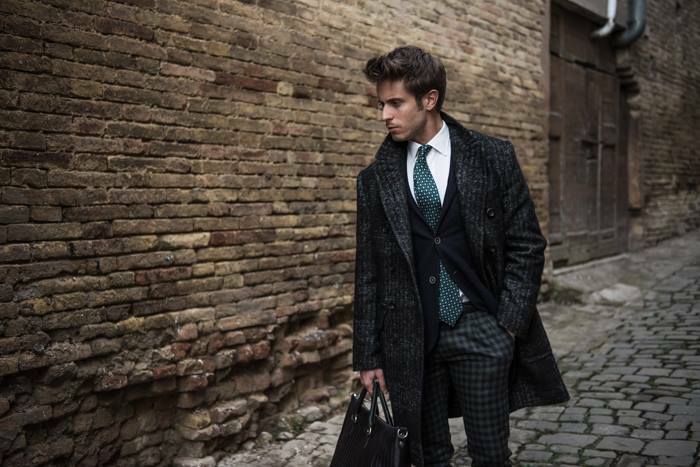 Importantissimi gli accessori, come sempre, e la shopper nera di Zanellato lo dimostra. 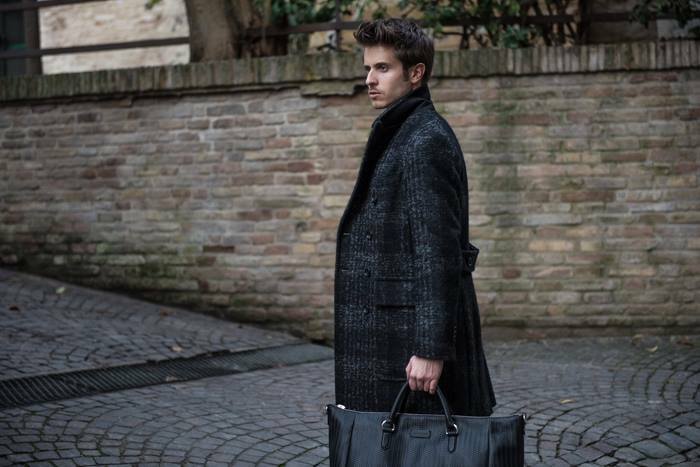 Ma la cosa che amo di più di tutto l’outfit è sicuramente il cappotto di Hevò che racchiude tutti i colori usati per l’outfit. Allora gente, che ne pensate? 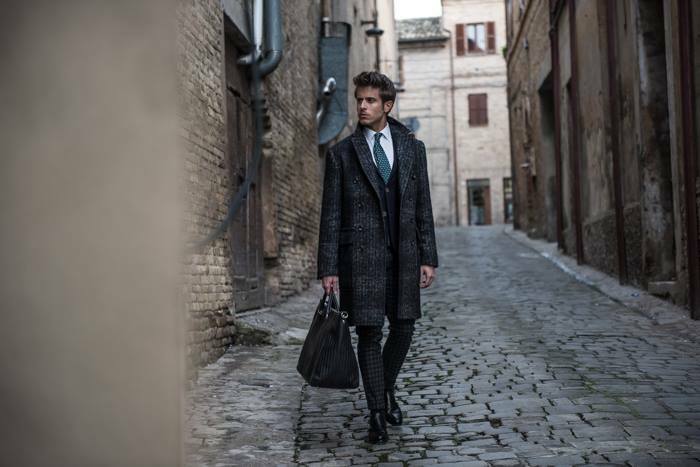 What I propose you today is a combination of pure Italian style: an outfit elegant and refined, playing with very dark colors, but that mixed to the green generate a really attractive look. 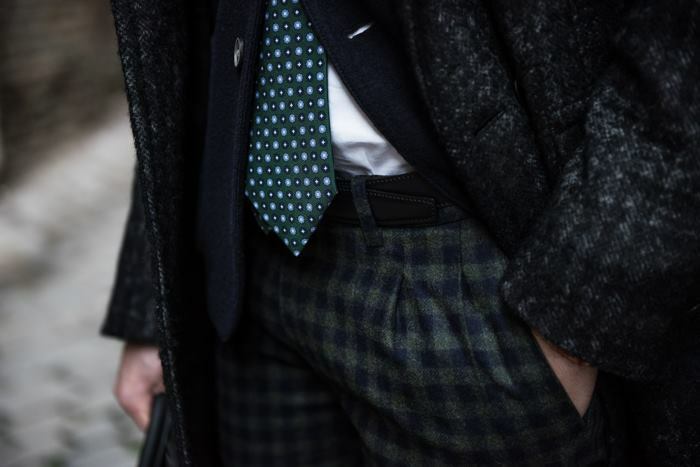 The Berwich pants and the tie worn by L’Avvocato (i.e. 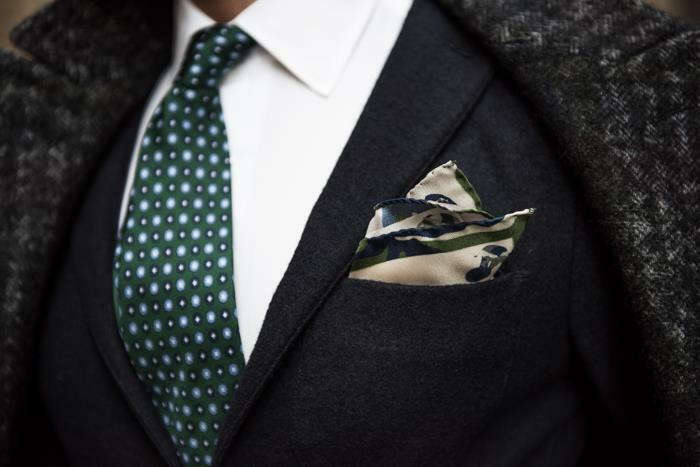 Gianni Agnelli) are in perfect harmony, even with the pocket square by Pret a Pochette. 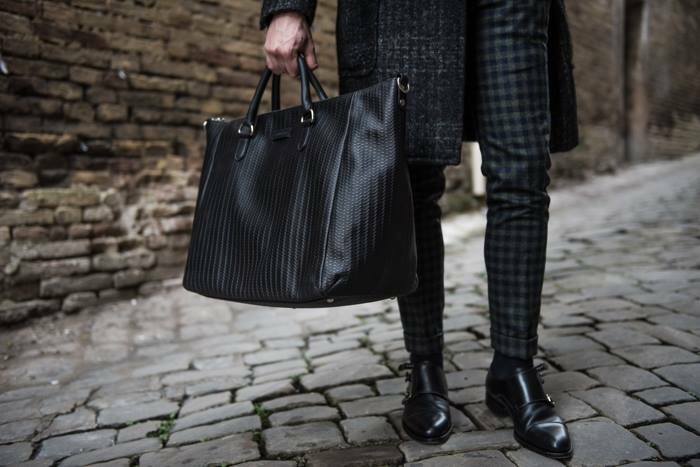 Accessories are extremely important, as usual, and the black Zanellato shopper proves it. But the thing I love the most about the whole outfit is definitely the coat by Hevò that encompasses all the colors used for the outfit.